“Not carrying cash with me"
To celebrate Financial Literacy Month, Compass coaches are sharing some of their favorite resources on personal finance. Keep reading to discover what blogs, apps, and documentaries your coach is tuning into, and become an expert yourself. “I go to CNN Money for more complex financial questions, particularly their section where they list the descriptions for the types of products that you can purchase. I also like it since it’s a bit easier to understand.” Here’s a sample article on investing in your 401k: http://money.cnn.com/pf/money-essentials-401k-investing-alt/index.html. “Personal Capital is a website and a phone app. It allows me to see all of my financial accounts in one place: credit cards, loans, retirement, checking and savings accounts. I can see the progress of my overall financial picture by looking at the net worth section (my assets minus my debt). It helps me lower my expenses. Since it lists the highest to the lowest expense by category each month, I can pick a category with high expenses to focus on lowering for next month. “Nerdwallet is one of my favorite personal finance blogs, especially to compare the pros and cons of different credit card offers. The articles are short, fun to read and are a good place to learn about different personal finance topics. Just remember, don’t take the articles as absolute fact. The authors share their experience, opinions and the site earns money from highlighting different services and brands. Make sure to check other websites and resources to confirm the information you read there before making your own financial decisions." "This website is good for finding free money. It gives an overview of all the products/programs that pay people to do little to nothing (Ex. Medical research, money to open checking accounts, apps that give cash back deals, paid surveys, etc)." "This article is lighthearted and a very easy read. It made me reevaluate how much I may need in retirement and also made me feel good that people are truly happy when they retire. I used to use the rule that you’ll need to replace around 80% of your current income to have enough to live on when you retire but one retiree stated that you should probably budget for using 100% of your current income because whatever costs you reduce in retirement will only be replaced by a new expense like healthcare. So basically, save as much as you can!" "This documentary discusses the crisis in credit card debt and features Elizabeth Warren. It highlights the predatory practices of the industry and the need for financial education (it’s not pleasant to watch but it’s necessary for people to know the information)." "This documentary discusses the crisis in retirement savings and does a good job of identifying alternatives savings mechanisms that may make up the shortfall in retirement savings. It also asks viewers to rethink how they will spend their time on retirement (ex. You may need to move to a cheaper place or get roommates or take out a reverse mortgage, etc). This is a good documentary that is suitable for someone who is starting to think about saving for retirement." As a consumer, you are entitled to receive a free copy of each of your three credit reports once per year. This is a great way to monitor your credit, check for errors, and make sure you aren’t caught by surprise when you go to make a major financial decision. Go to www.annualcreditreport.com to request your report online. Remember: Only your report is free! Avoid requesting your official FICO score, which comes with a fee. If you pull your credit reports, please bring them to your next Compass appointment! Your coach will be happy to help you read your report and get a more complete picture of your credit. Misinformation about collections can keep you from enacting an effective action plan to address your debt. This week, we debunk three common collection myths. Your Compass coach can help you take a deeper look into these topics and create a personalized plan of action. Myth 1: Paying off collections will automatically improve my credit score. Choosing to address negative debt can be a sound financial decision that helps you avoid legal action from debtors and reach financial goals, like renting an apartment and purchasing a home. Some people may find that paying in full or settling the debt may not initially improve their credit score. It is important to remember that when it comes to your credit score, time is a forgiving friend. As negative items age, they impact your score less. The key to improving a credit score after paying a collection or other negative item, is to focus on actions that can help you build positive credit history as your negative items become less impactful to your score. Prioritize paying on time, keeping your utilization low, and avoid adding new collections to your credit history. Video - Compass Shares: Credit Card Tips: This video covers tips on how to use a credit card to build your credit. Basic Facts About FICO Scores: Page 2 lists the five components that make up your credit score. Myth 2: The 7 year credit bureau reporting period on a collection resets each time a new collection agency purchases the account. Collections remain on your credit report for 7 years and 180 days from the date of delinquency. By law, “delinquency” is defined as the month and year that the account first became delinquent in the eyes of the creditor. The delinquency date is the missed payment that led to the original credit account being closed by the creditor or sold to a collection agency. The date of delinquency does not change, regardless of whether the collection is sold to a new collection agency. So, a new collection agency that purchases the debt does not reset the clock on your collection to seven years. To find the delinquency date on a collection, request your free annual credit report online or by mail. If you notice a collection that is older than 7 years and 180 days from the delinquency date, then you have the right to request the removal of the collection from your credit report. Review Myth 3 for more information on fixing errors with the credit bureaus. In addition to the reporting period for a collection, the debt also has a statute of limitations for how long you can be held legally responsible for the debt. After the statute of limitations has expired, a collection agency cannot pursue a lawsuit against you for the debt. If you have questions about the statute of limitations for your debt, thenyour Compass coach can provide you with a referral to a legal resource. Myth 3: I cannot fix incorrect information on my credit report. You have the right to dispute any false information that appears on your credit report. You can dispute incorrect demographic information, like age, address, and employment history. You also have the right to dispute incorrect account information or accounts that you do not remember. When sending a dispute, it is best to mail a certified letter and include any documents that support your case. A certified letter allows you to make sure that the credit bureau receives your dispute and responds to you in time. The Federal Trade Commission (FTC) offers a sample dispute letter. You can also locate the addresses for the 3 major credit bureaus: Experian, Equifax, and Transunion. Whether you’re building your credit from scratch or looking to rebuild damaged credit, sometimes a credit-building product can help. When used correctly, a credit-building product can help you establish positive credit history and improve your credit score. Your coach might recommend a credit-building product if you don’t have a credit score (appears as “N/A” on your credit report). Your coach might also recommend one of these products if opening a new line of credit could help you reach your financial goals, but you might not be approved for a traditional credit card. If you are looking to improve your credit by opening a new trade line, your coach would be happy to help you choose a product that will suit your needs and interests. A Credit Builder Loan is a loan designed to help you build positive credit history. Operates like a typical loan, but you do not have access to the funds immediately. Loan is initially deposited into a savings account, and you can access the funds only after you have finished paying off the loan. Typically has a low interest rate. Can also be a tool to build savings. The account will close after you finish paying off the loan. This means that it will no longer be contributing as heavily to your positive credit history. A Secured Credit Card is a credit card where you put down a deposit to cover your line of credit. Operates like a typical credit card, but you put down a deposit when you open the card. This deposit will usually be the same as your credit limit (e.g. if you put down $200, your credit card will have a limit of $200). Allows you to build positive credit history by making on-time credit card payments. A secured credit card is a revolving account, meaning you can keep the account active for as long as you want by making small charges and paying off the balance. Often can be transitioned into traditional credit cards after a period of time, and you can recover your deposit. A credit building product will be reported to the credit bureaus just like any other loan or credit card. That means that even though you might not have access to your loan money or may have put down a deposit to cover your credit limit, late payments can still hurt your credit score. 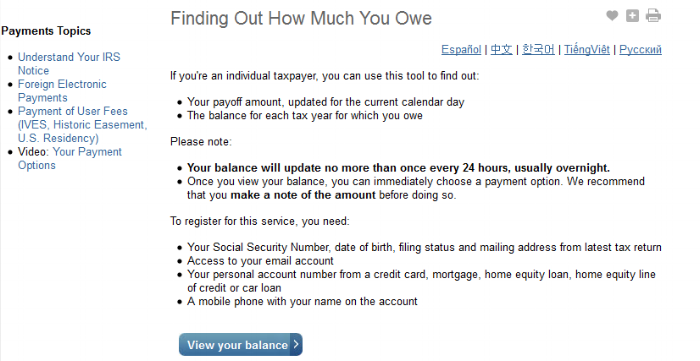 Before you open an account, check to make sure it will be reported to all three credit bureaus. 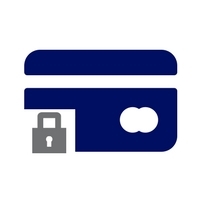 If you are thinking about opening a secured credit card, check out our Secured Credit Card Resource to learn more about your options and best practices. As always, your coach would be more than happy to answer any questions about what products can best help you reach your financial goals! You can track your refund from the IRS' website. To use this tool, enter your social security number, filing status, and exact refund amount that appeared on your tax return. Monday - Friday 6am-12:30am E.T. Congratulations to Our Lynn FSS Graduates! In November, Compass celebrated the first graduating class from the Lynn FSS program. Below are a message from founder and Executive Director Sherry Riva, a video about the graduation, and pictures from the event. Tuesday, November 29th was an extra special day here at Compass. We gathered to celebrate the first class of graduates from our Family Self-Sufficiency (FSS) program operated in partnership with Lynn Housing Authority. Over the past five years, these 76 graduates have saved a total of $662,000 through the program, and used those savings to reach major financial goals. There were many great moments that night, but what I keep thinking back to in particular is the way that so many graduates described how they are passing on what they have learned to their children, their siblings, or their neighbors. Amidst all the signs that our work is having an impact, I can think of no greater one than this – that our clients are sharing what they have learned with their friends and family, and inspiring others to follow their example. Please take some time to check out a short video and several photos from the night, all included in this message. FSS graduates and their family members joined Compass staff and representatives from the Lynn Housing Authority and Neighborhood Development (LHAND) at Spinellis in Lynnfield. All of the graduates were presented with a certificate. This month, we spoke to Sahra Kuper, a Career Counselor with the Cambridge Employment Program. Sahra shares career and job search advice and helpful resources for job seekers. Cambridge, MA residents can learn more about free services at the Cambridge Employment Program. If you live outside of Cambridge, then listen to the tips below and talk to your Compass coach about finding employment resources in your community. ABCD offers holiday toys, gift cards, meals, and winter assistance. Intake forms and supporting documents are required. Provides holiday gifts to families who need assistance. Requests are only processed by phone: (508) 238 – 2562. M : 2:30 – 4:30 p.m.
T, W, Th, S: 9:00 a.m. – 12:00 p.m. Provides toys for families who need assistance. Visit http://www.toysfortots.org/request_toys/Default.aspx to locate your town and request toys for your family. Introducing: A New Mailing List for Job-Seekers! Call or email you coach to sign up! Each week, you will receive an email highlighting these opportunities.